What's Up With Organic Wines? The market for organic products in the US has grown more than 25-fold in the last two decades, and the Whole Foods grocery store chain has become a nearly $5bn company riding that wave of organic enthusiasm. So why hasn’t organic wine shared this growth? It accounted for just 0.6% of US sales in 2016, according to Nielsen. By any measure, wine made with organic grapes and wine labelled as organic – two completely different products under US law – are a small part of the US market. Even allowing for price, Nielsen figures say they’re only 2.7% of the market between $10.00 and $15.00, and 5.4% between $15.00 and $25.00, while their growth has slowed and was only one-third of that of similarly priced conventional wines over the past year. By comparison, organic produce accounts for 13% of the US fruit and vegetable market and grew 10.5% from 2014 to 2015, according to The Organic Trade Association. An organic wine is not the same thing as an organic tomato. A tomato is either organic or it isn’t. Wine falls into one of two categories, only one of which is similar to the traditional definition of organic. That’s wine made with organic grapes, which means they were grown without the use of non-organic fertilizers, pesticides, herbicides, and so forth in accordance with federal law. Its label will say ‘made with organic grapes’. On the other hand, a wine can be labelled organic, which has nothing to do with the grapes, but signifies that it was made without added sulphites. Further complicating the issue are what are called ‘sustainably farmed’ wines, certified by the California Sustainable Winegrowing Alliance. 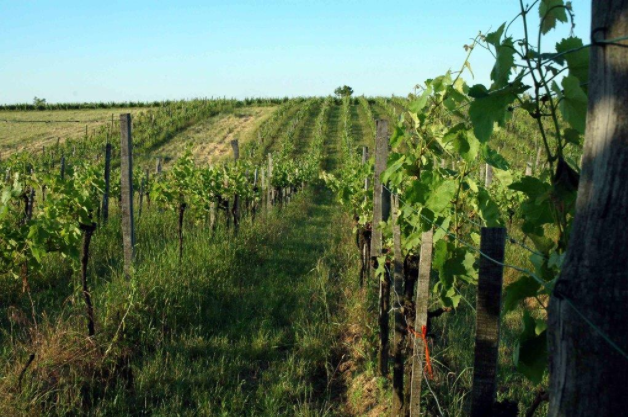 Wines with this designation are supposed to use “vineyard and winery practices that are sensitive to the environment, responsive to the needs and interests of society-at-large, and economically feasible to implement and maintain.” How meaningful is it? More than two-thirds of the wines named in a class action lawsuit in 2015 that accused producers of knowingly selling wine with dangerous levels of arsenic could have been certified sustainable under this standard. These are not the only reasons for organics’ poor acceptance. Retailer indifference has played a key role. These wines are often relegated to no-man’s-land, where they’re found in organic sections set off from the rest of the wine in the same nether reaches as the quality boxed wine and wine from local and regional producers – even in stores that focus on other green products. Also, there are few nationally known organic labels in the way that brands like Kendall-Jackson have a national presence. Bonterra and Frey, two of the biggest, are little known outside organic circles and are rarely seen in grocery stores. In fact, there is no accurate count of how many vineyard acres are farmed organically in the US – only numbers for how many farms and vineyards have been certified organic. Third, no one has quite figured out whether organic wine tastes better than conventional wine, in the way that organic tomatoes usually taste fresher and more tomato-like than conventional tomatoes. A 2016 study published in the Journal of Wine Economics, “Does Organic Wine Taste Better? An Analysis of Experts’ Ratings”, found that organic wines did taste better, but one of the study’s authors, Magali A. Delmas of UCLA, has said that measuring quality by wine magazine scores, which the study used, may not have been the best method of assessment. In addition, since organic wine is typically more expensive, no one is sure if the difference in quality was because of organics or because the wines were made with better-quality grapes by better winemakers – and would likely have scored higher even if they weren’t organic.